There are two ways to Facebook your baby’s photos. You can post a steady stream of snapshots to a public newsfeed, choosing pics that show her in the bathtub or full-out tantrum mode, include all her ID, and make everything visible to the public. But I don’t recommend it. This kind of oversharing can compromise your child’s safety, and haunt her when she’s older. Is your best bet, then, to join the baby blackout? That’s hardly failsafe. Hackers can get their hands on family photos even if you have no social media accounts. 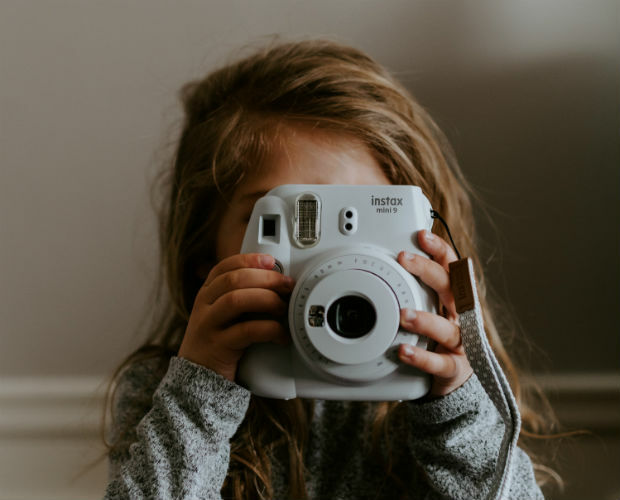 However, if you use caution and common sense, the benefits of documenting your baby’s photos online can outweigh the risks. Many of us have important friends and family in far-flung places. Social media is a tool for staying in each other’s lives, and following the development of certain small people who matter a great deal to us. I feel more connected to my two new great-nephews (I know, I’m impossibly young, but there it is) when their parents post their photos. The second way, then, is to take safety measures. Be discerning about who can see your profile (do you really have 2,000 best friends?). Better yet, make a subgroup of your closest pals and relatives, instead of sharing kid pics with your whole network. (The bonus: Only those who opt in will be subjected to your über-adorable photostream). Make full use of your privacy settings, and double-check them frequently. Never allow apps to access your information. Even then, assume that everything you post could languish online forever. That means no potty pics. No geotagging. Don’t disclose your baby’s full name, birth date or daycare centre. As your kids grow, you can show them what you're choosing to share (or not), and the safeguards you're putting into place. Let them vet what you post. You’ll teach them the value of privacy and their rights. After all, one day they’ll be making their own social media decisions. This way, they'll have some savvy. When my son was born, I resisted the urge to plaster his beautiful face all over my social media. I didn’t want to be one of those moms who bombards her Instagram with cute photos and tales about whether her baby slept through the night or how much he pooped (one friend of mine recently posted “my son just pooped all over my iPhone”). Given that so much of our lives are lived through cyberspace these days, I didn't want to create a digital footprint for my son that would haunt him in his teen years. Sure, my friend’s poop post received many “likes” but I wondered how his son will feel when he’s 12 and comes across that post. OK, Facebook may not even be around 10 years from now, but the digital universe is vast and I’ve always taken the approach to never put anything online that I wouldn’t want my mother, my employer or my kids to see. Shouldn’t my son be given the same privilege to create his own online identity when he’s old enough to decide what he wants to put out there rather than inherit the one I’ve created for him? Plus, there’s the safety issue. Denise Lisi DeRosa from the Family Online Safety Institute, warned me of a new trend called digital kidnapping. “People are going online and role playing that they’re parents when in fact they’re not. They’re taking photos of other people’s kids and posting as though the child is theirs.” Creepy. But aside from the creep factor, I also think it’s important for parents to be good digital role models. After all, how can I expect my son, when he’s 14, to follow my rules about oversharing online if I've posted a complete history of his life on Facebook? On one hand, it’s natural for parents to want to post content about their children over social media. Facebook is a place where parents can share and receive support for some of life’s most wonderful, and most challenging, moments. 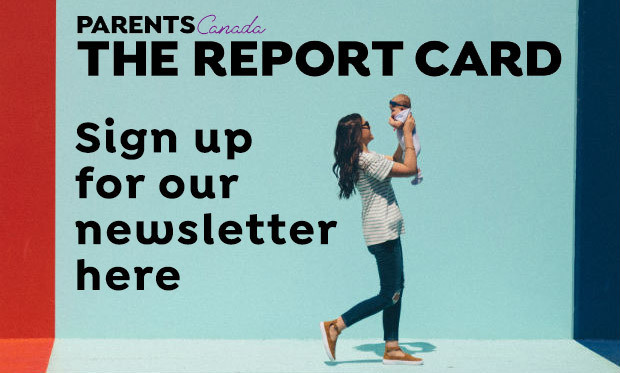 On the other hand, posting content online about your child opens up the possibility that this information will be accessed by others, not just now, but down the road, by potential boyfriends or girlfriends, university admissions officers, or future employers. Some parents have opted to never post on social media about their children. This is easier said than done. The reality is, photos of your child performing at the school holiday concert or competing in a soccer tournament will likely find their way onto social media whether you put them there or not. The best approach as a parent is to assume that any content you post is viewable by anyone, anytime. Set an example and show good judgment about what you do and don’t post. Establish “family rules” for what is posted on social media that everyone in the family understands and agrees to. Do not post content that could jeopardize your child’s privacy or safety. By age five your child is old enough that you should ask his or her permission before you post about them on social media. Show the same respect for the privacy of your child that you hope they will show for you after snapping an unexpected photo of you in your pajamas without make-up or snoring on the sofa. Do you need to buy your baby’s domain name? Ashton and Mila did it – should you, too?